The weekly Dimethyl Terephthalate, or DMT market, is covered in Europe by our locally based reporters. 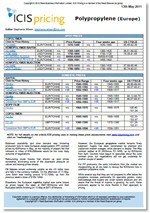 Price assessments focus on monthly contract prices for liquid DMT. Market news and analysis include an overview, upstream movements for markets such as Crude, Methanol and PX, and downstream developments on PET and PBT. 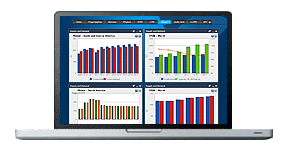 The information is supported with graphs and industry news, and is a vital tool to help you make informed business choices. Availability of PX and methanol improved, following the return to output at a couple of units. Russian imports of both PX and methanol were limited, due partly to apparent software issues on rail networks in Finland. The European dimethyl terephthalate (DMT) contracts rely on a formula with upstream paraxylene (PX) monthly contract settlements and quarterly methanol prices. The first quarter is a slow season downstream of DMT, particularly for polyethylene terephthalate (PET), but the automotive market also impacted negatively on sales of polybutylene terephthalate (PBT). PX demand was generally healthy in the first quarter of the year, but a dip in March was attributed to anticipated price drops. Q1 is typically a cooler period for methanol’s traditional downstream sectors. We offer the following regional Dimethyl terephthalate analysis and news coverage to keep you informed of factors and developments affecting prices in the Dimethyl terephthalate marketplace. 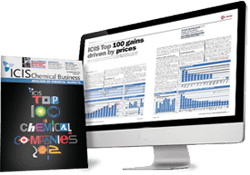 Over 25 years of reporting on key chemicals markets, including Dimethyl terephthalate, has brought global recognition of our methodology as being unbiased, authoritative and rigorous in preserving our editorial integrity. Our global network of reporters in Houston, London, Singapore, Shanghai, Guangzhou, Mumbai, Perth and Moscow ensures unrivalled coverage of established and emerging markets. Dimethyl terephthalate (DMT) is used mainly to produce polyester resins, fibres and films as well as engineering resins. Dimethyl terephthalate (DMT) are colourless crystals, insoluble in water but soluble in ether and hot ethyl alcohol. DMT is available in molten (liquid) and flake (solid) forms. In Europe, mainly molten is delivered, with minimal imported quantities of flake material. DMT is used mainly to produce polyester resins, fibres and films as well as engineering resins. The polyesters produced are used in fibres for the textile industry, the manufacture of food and drink containers such as polyethylene terephthalate (PET) bottles, and films used in photography, computers, audio-visual equipment and packaging. For film applications, DMT can be preferred due to its adhesion addition quality. DMT can also be used in engineering resins, such as polybutylene terephthalate (PBT).